Hats off to Jonah Hertzman, a young guy with a heart. 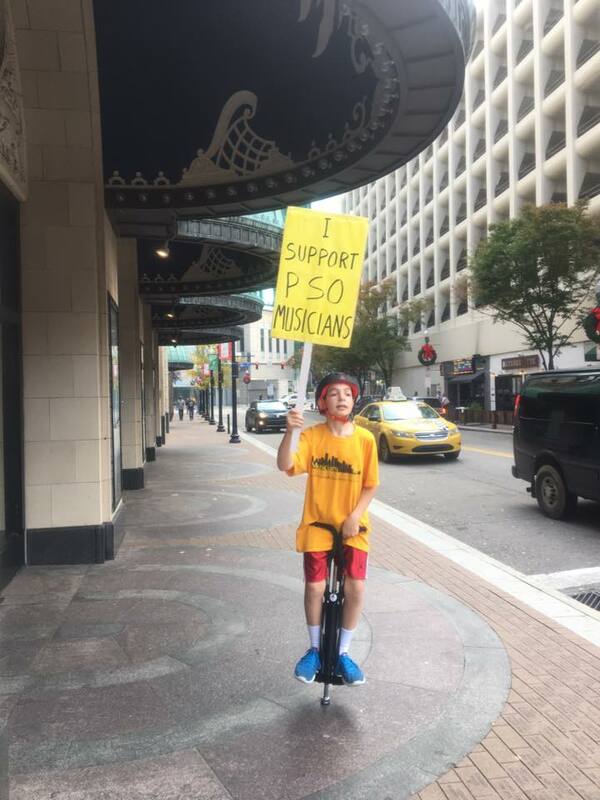 Instead of saving up his barmitzvah money for the latest games console or designer trainers, he’s asking people to give their money to the tormented Pittsburgh Symphony. The Pittsburgh Symphony Orchestra helps the economy—it makes people want to live here. It provides entertainment for a lot of people. And there wouldn’t be as much music education in Pittsburgh if it weren’t for the PSO. That’s why I chose supporting the PSO for my Bar Mitzvah project. The PSO management is currently asking the musicians to take a 15% pay cut (among other things) because they say they are facing a future funding deficit. I’m afraid that if this happens, some musicians will go to other orchestras and the quality of the PSO will decline…. I want to use this fundraiser as leverage to encourage management to negotiate with the musicians and end the strike. As soon as the strike ends, I will donate all the money I’ve raised here directly to the PSO itself. In the meantime, I want PSO management to know how important the musicians are to me and to my friends and family. Thanks! You can read more and support Jonah’s Barmitzvah project here. This rockstar is Jonah Hertzman, not Hertzberg! And he’s a great young violist! Violists make the world a better place! Mazel tov, Jonah! A wonderful mitzvah. You should be proud of yourself Jonah! Mazel Tov!